Marooned Without a Compass Day takes place annualy on 6 November. The purpose of Marooned without a compass Day is to remind people of their inner sense of direction and to foster the ability to navigate the day (and night) by the position of the sun and the stars or by Using a little, magnetic compass and encourage the development of orienteering skills. 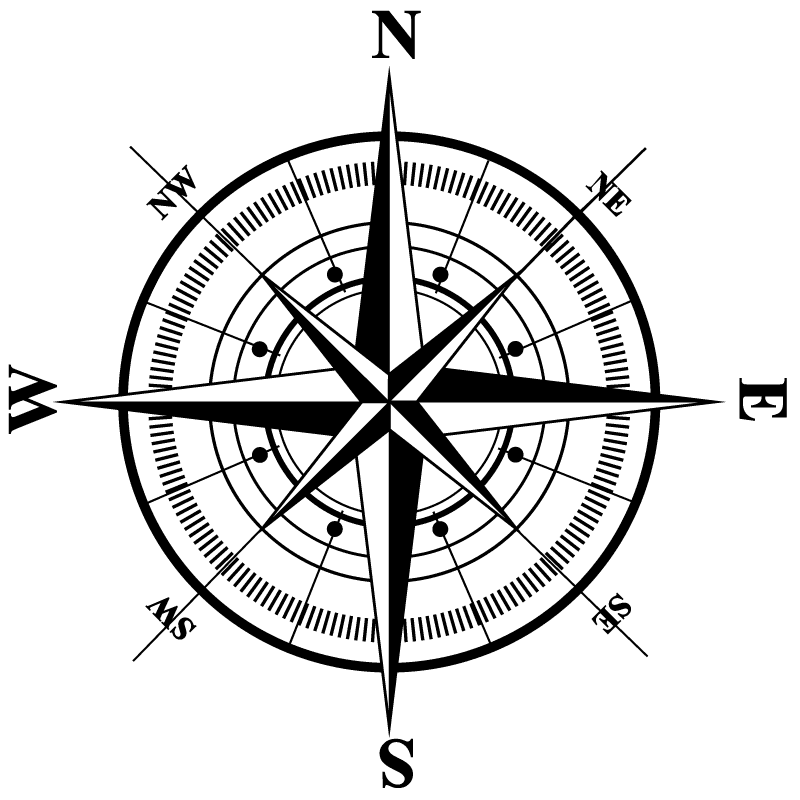 A compass is an instrument used for navigation and orientation that shows direction relative to the geographic cardinal directions (or points). Usually, a diagram called a compass rose shows the directions north, south, east, and west on the compass face as abbreviated initials. When the compass is used, the rose can be aligned with the corresponding geographic directions; for example, the “N” mark on the rose points northward. Compasses often display markings for angles in degrees in addition to (or sometimes instead of) the rose. North corresponds to 0°, and the angles increase clockwise, so east is 90° degrees, south is 180°, and west is 270°. These numbers allow the compass to show azimuths or bearings, which are commonly stated in this notation. Among the Four Great Inventions, the magnetic compass was first invented as a device for divination as early as the Chinese Han Dynasty (since c. 206 BC), and later adopted for navigation by the Song Dynasty Chinese during the 11th century. The first usage of a compass recorded in Western Europe and the Islamic world occurred around 1190. Orienteering refers to the crossing of wild unknown and unfamiliar terrain with the aid of a map, a compass and other navigational skills. The word Orienteering was first used in 1886 In Sweden, where orienteering grew from military training in land navigation into a competitive sport for military officers, then for civilians. The name is derived from a word root meaning to find the direction or location. The first orienteering competition open to the public was held in Norway in 1897. The exploitation of natural resources is the use of natural resources for economic growth or War sometimes with a negative connotation of accompanying environmental degradation. It started to emerge on an industrial scale in the 19th century as the extraction and processing of raw materials (such as in mining, steam power, and machinery) developed much further than it had in preindustrial areas. During the 20th century, energy consumption rapidly increased. Today, about 80% of the world’s energy consumption is sustained by the extraction of fossil fuels, which consists of oil, coal and gas. Another non-renewable resource that is exploited by humans is subsoil minerals such as precious metals that are mainly used in the production of industrial commodities. Intensive agriculture is an example of a mode of production that hinders many aspects of the natural environment, for example the degradation of forests in a terrestrial ecosystem and water pollution in an aquatic ecosystem. As the world population rises and economic growth occurs, the depletion of natural resources influenced by the unsustainable extraction of raw materials becomes an increasing concern. Thanks to the development of increasingly sophisticated technology natural resources Can be extracted quicker and more efficiently, consequently Natural resources have come under Increasing pressure. In the past, it could take long hours just to cut down one tree only using saws. Due to increased technology, rates of deforestation have greatly increased. The number of humans is also increasing putting an additional burdon on Natural Resources. According to the UN, there were 7.6 billion of us in 2017. This number is expected to rise to about 10 billion in 2050 and about 11 billion in 2100. Another factor affecting the exploitation of natural resources is the Culture of consumerism. Materialistic views lead to the mining of gold and diamonds to produce jewelry, unnecessary commodities for human life or advancement. Consumerism also leads to extraction of resources for the production of commodities necessary for human life but in amounts excessive of what is needed, because people consume more than is necessary or waste what they have. For example, the production of meat puts a great strain on our food system.Excessive demand also leads to conflicts due to intense competition. Organizations such as Global Witness and the United Nations have documented the connection. Another factor putting pressure on resources is the Non-equitable distribution of resources. After being demobbed He began performing at pubs and clubs in the evenings, standing in front of the venue, handing out leaflets and selling tickets and then surprising ticket-buyers once inside by being the man who was doing the comedy routine. He even managed to find comedy in his National Service with the First Parachute Battalion, which he joined when he was 18, training on the Isle of Wight and Manchester Ringway Airport and serving in Palestine. Carson moved towards stardom after making dozens of appearances on Irish television and Soon became a popular performer before moving to England in 1966 and appearimg on the BBC Show The Good Old Days music hall show and appearing as a Stand-Up Comedian on Hughie Green’s Opportunity Knocks television which he won three times. His Belfast accent and bawdy confidence were immediately distinctive. He also did summer seasons at Pontins and Butlins holiday camps, a TV series with the Irish group The Bachelors.He hit his stride in “The Comedians”, which consisted of 30 minutes of non-stop stand-up comedy from several comedians in each show. The program became a ratings hit in the United Kingdom and helped establish Carson’s performing career, and also gave a platform to all sorts of funny men and women such as Charlie Williams, Bernard Manning, Mike Reid and Jim Bowen. The Comedians also led to similar shows, such as The Wheeltappers and Shunters Social Club, which were all an attempt to bring the northern English working man’s club show to television, Peter Kay also did a similar thing with Phoenix Nights. Carson was a regular on television for a number of years after The Comedians, whilst also working as a stage entertainer and appearing before the Royal Family in shows. He is known for two catchphrases in live performances: “It’s a cracker!” and “It’s the way I tell ‘em!”. In 1975, Carson took the part of Paddy O’Brien, described as “an Irish Republican landlord and coalman”, in The Melting Pot, a sitcom written by Spike Milligan and Neil Shand, which was cancelled by the BBC after just one episode had been broadcast. When he had heart surgery in 1976 it was suggested this meant he would retire. However, he continued working and became a regular on the ATV children’s series Tiswas. He began making acting appearances on television as well as in two cinema films in the 1990s. In 1998, he was the opening act for Mary Black’s musical concert at the English Village in Dubai. In 2004, a planned appearance on the reality show I’m a Celebrity… Get Me Out of Here! was shelved by ITV executives. Up until quite recently Carson still worked, making live appearances, in cabaret, pantomime and the summer season throughout the UK, and On 2 September 2009, aged 82, Carson returned to the stage appearing at the North Pier Theatre midweek season run of The Comedians in Blackpool, where he had a home. On 30 October 2009, he appeared at the Velvet Hall in Paphos, Cyprus. Carson was known for his philanthropy and spent much of his time helping the needy which included raising £130,000 for the Royal Victoria Hospital Children’s Cancer Ward in 1986. In 1987 his dedication to charity was recognised by the Roman Catholic Church when he was awarded a Papal knighthood of the Order of St. Gregory by Pope John Paul II. He was a member of the entertainment charity the Grand Order of Water Rats. Carson died on 22 February 2012, aged 85, at his Blackpool home. He is outlived by his wife, Ruth, daughter Majella, and sons Tony and Aidan. Upon hearing the news, Trevor Carson, a nephew, and a football goalkeeper with Premier League side Sunderland, stated “After a lengthy and wearisome illness, my uncle, friend, and hero has passed on to join the great comedy legends of our generation.” Another nephew, Sean, is a comedy writer”. Although largely overshadowed by the Supermarine Spitfire, the aircraft became renowned during the Battle of Britain, accounting for 60% of the RAF’s air victories in the battle, and served in all the major theatres of the Second World War.The 1930s design evolved through several versions and adaptations, resulting in a series of aircraft which acted as interceptor-fighters, fighter-bombers (also called “Hurribombers”), and ground support aircraft. 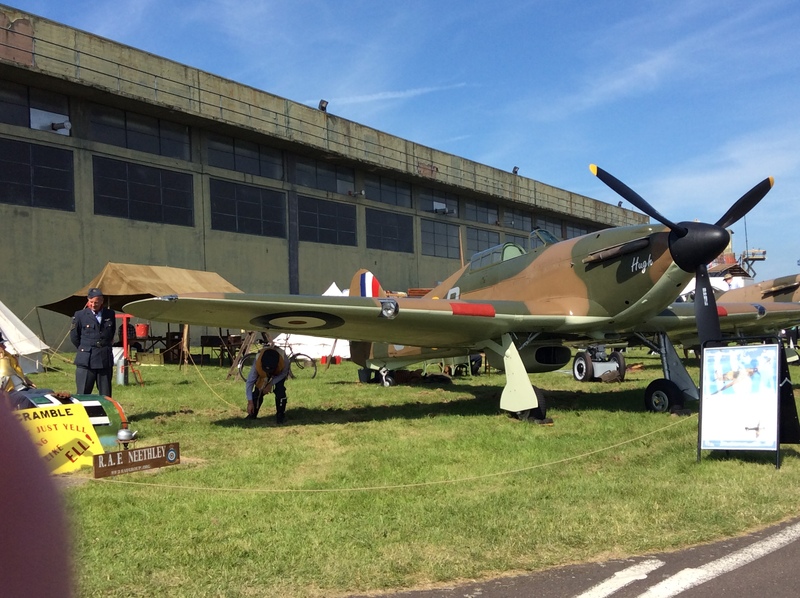 Further versions known as the Sea Hurricane had modifications which enabled operation from ships. Some were converted as catapult-launched convoy escorts, known as “Hurricats”. More than 14,000 Hurricanes were built by the end of 1944 (including at least 800 converted to Sea Hurricanes and some 1,400 built in Canada by Canadian Car and Foundry).The first 50 Hurricanes had reached squadrons by the middle of 1938. At that time, production was slightly greater than the RAF’s capacity to introduce the new aircraft and the government gave Hawkers the clearance to sell the excess to nations likely to oppose German expansion. As a result, there were some modest sales to other countries. Production was then increased with a plan to create a reserve of aircraft as well as re-equip existing squadrons and newly formed ones such as those of the Auxiliary Air Force. Expansion scheme E included a target of 500 fighters of all types by the start of 1938. By the time of the Munich Crisis there were only two fully operational squadrons of the planned 12 with Hurricanes. By the time of the German invasion of Poland there were 18 operational Hurricane squadrons and three more converting.